Many an outdoor enthusiast has relaxed on a hammock by the lake or stargazed from a traditional rope hammock on a bright, cloudless night. But did you know that hammocking is also a fun way to camp? The simplicity and comfort of hammocks is lending popularity to their use in outdoor recreation, and countless people are switching from tents to hammocks. When you think of a hammock, you probably imagine a contraption of woven ropes and long wooden spacers hanging in someone’s backyard. 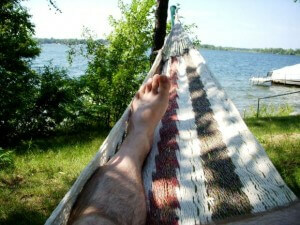 But camping hammocks are more reminiscent of the woven hammocks many cultures traditionally used for sleeping. Camping hammocks are made from a variety of weatherproof materials, but all are woven and lacking the support rods that stretch hammocks into flat, easy-to-flip surfaces. Sling your outdoor hammock between two trees or use a freestanding support. Leave yourself a bit of slack so your body can relax into a curve. On rainy nights, pull a rope taut above your hammock and sling a tarp over the line to protect you from the elements. Hammocks give better support than sleeping flat. Many doctors suggest patients with back troubles replace their mattresses with hammocks, and medical research shows that the gentle rocking motion promotes better rest. Regardless of whether you’re ready to trade in your TempurPedic for a good ol’ cloth hammock, it’s by far the most comfortable choice for outdoor sleeping. Hammocks provide better alignment and inflict less tension than sleeping on the ground. And during those sticky summer months, the suspension of the hammock allows nighttime breezes from Lake Nantahala to keep you cool as you sleep. Hammocking is easier and less costly than traditional tent camping. Unlike tents, hammocks are easily transportable and can be strung nearly anywhere. They are easier to assemble and disassemble than tents, and at a fraction of the cost. 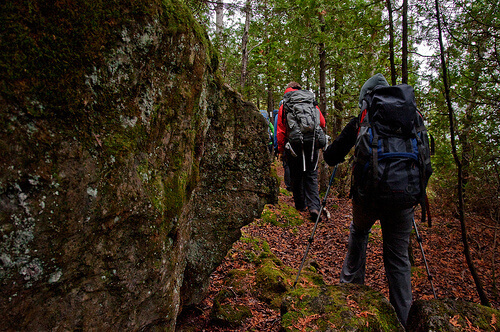 You can enjoy all the amenities of traditional camping and savor the beauty of nature as you drift off to sleep. You can hammock on your porch, nap in a hammock by the lake, or near those explorers sleeping on the hard ground. Camp as a family or enjoy the wonders of nature on your own. The possibilities are as endless as Nantahala and your taste for adventure. When most people think of time of the lake, they think of water sports, fishing, swimming, and their other favorite lake activities, but not about the clarity of the water. Lakes, especially in the South with the presence of red clay and other muddy soils, tend to be thought of as murky waters; they’re fun to enjoy, but crystal clear water is not expected. Lake Nantahala is a special gem, up in the North Carolina mountains, as the water of the lake is well known for it’s clarity. A view of the lake bottom from the Lake’s End Marina dock. Lake Nantahala was formed in 1942 when the Natahala River itself was dammed to create a clean and crystal clear reservoir. The surrounding area had remained mostly wild and untouched, not receiving access to electricity until the 1940’s, with mail still being delivered on horseback. 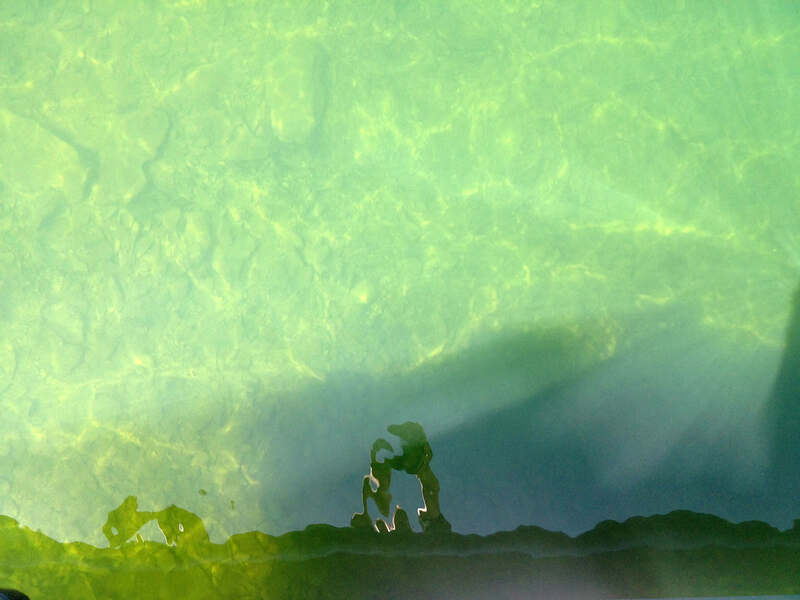 Since it’s formation, the lake has maintained it’s pristine beauty and seemingly untouched clarity; from shoreline to over 15 feet deep, visitors can see clearly to the bottom of the lake on most days. The pristine beauty of the lake and clean nature of the water make it a site of exceptional natural splendor for visitors to the area and lake residents. The beautiful water is often the talk of much conversation and an instant photo choice for new visitors. From a distance, the water showcases a deep, almost sapphire blue appearance, but from the shoreline or a boat, people get to enjoy a glass-like purity that allows you to enjoy a view straight to the bottom of the lake or into its depth. When is the last time you spent time on the water? How about the last time you visited a lake this clear? Take a summer weekend and head up to Nantahala to take advantage of the beautiful surroundings and to have a day on the lake. Make sure to send us a tweet at @lakenantahala to let us know you’re in the area! Whether you’re building your dream house in one of the stunning lots at Reflections on Lake Nantahala, or if you’re just visiting for the weekend, you don’t have to bring a boat with you to have fun. At the lake’s Marina (next door to the Lake’s End Diner), you and your family, friends, or team can rent the boat that fits your needs best. Our marina has a great view of the lake, and all of the boats you’ll need to enjoy a day out on the water. For groups, we have larger pontoons that are perfect for a lazy day on the water. Grab a cooler and a few friends and head for the water, relaxing while the boat moves along or swimming off of the side. You don’t have to have companions to enjoy a day on the lake. Kayaks and canoes are the perfect rentals for individuals, couples, or small groups who want to paddle out on the water and enjoy a day exploring without the company of a crowd. Take one of our ski boats out for a spin if a little bit of water sports is what you’ve been waiting for this summer. It’s the perfect way to enjoy a little bit of speed along with the scenery on Lake Nantahala. Enjoy a burger on the patio of Lake’s End Diner or have a snack at one of our picnic tables. No matter which boat is right for you, Lake Nantahala is the perfect getaway for Summer weather. Beat the heat with a dip in the lake, enjoy a delicious burger at the diner, or pack your own feast and take advantage of the picnic tables at the marina. You’re minutes from canopy tours, white water rafting, and more, so enjoy the activities on the lake and beyond! On the lake, you have everything you need for a great afternoon, enjoying the beautiful forests of the Topton, NC area. Which boat fits your personality? Tell us about your boating preferences in a comment! 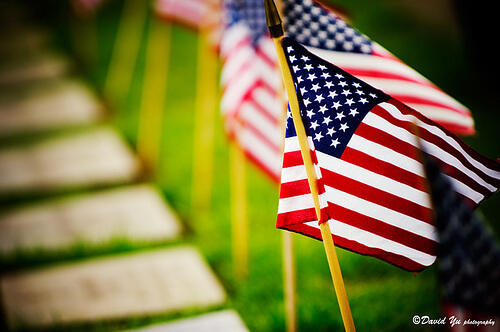 Memorial Day is a national day of remembrance as we look back on and thank those who gave their lives serving in the armed forces. While a somber observance, Memorial Day is also a great reminder to spend time with the ones we love and to celebrate the freedom that the fallen sacrificed their lives to protect. 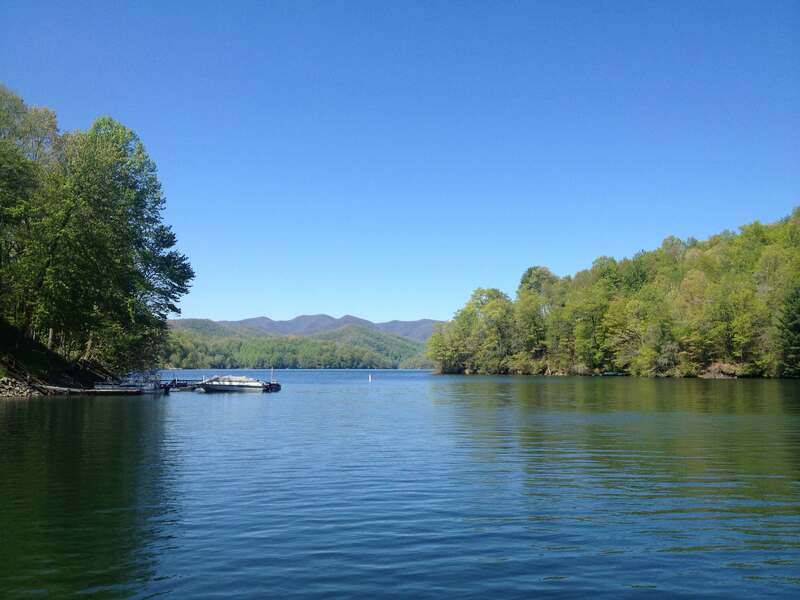 One of the most popular celebrations is a great day on the Lake; we’ve got a few tips for you to help make your Memorial Day celebration at Lake Nantahala the best yet. 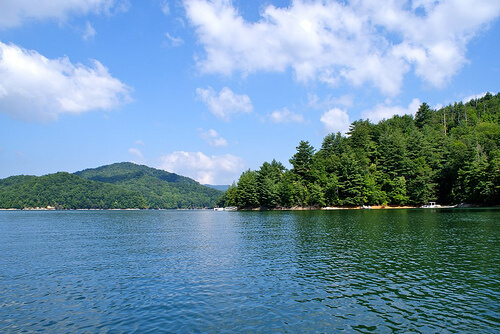 Reflections on Lake Nantahala provides the perfect, scenic locale for a lake day celebration. If you have access to a beautiful back deck or a porch, or if you own a dock by the lake, set up enough seating for your guests. Make sure that chairs are grouped to encourage conversation by grouping them in sets of three or more. By separating the sets, you encourage attendees to get up and move around between smaller, more intimate conversations, bringing everyone together. The boat is the perfect place to kick back and relax. While lounging in the sun or spending a day out on the boat are the perfect agenda for a holiday, have back up plans in case of rain or activities to enjoy while at the lake house. Popular games such as ladder ball or corn hole are easy to play on the shore or in the back yard, while card games provide great entertainment indoors. If your family has lost someone in the armed forces, share your favorite memories of them to honor them on Memorial Day. If you plan to stay in town for more than just weekend, local activities are a great way to round out your Memorial Day and vacation week celebrations. Visit the Nantahala Outdoor Center, just minutes from Lake Nantahala, for rafting, kayaking, and more. Get out your fishing line and enjoy a day of fishing on the lake or in the local rivers. Take the family to enjoy a sporting event, such as the 10th Annual Fletcher Flyer Bike Ride, heading through Western North Carolina on June 2. 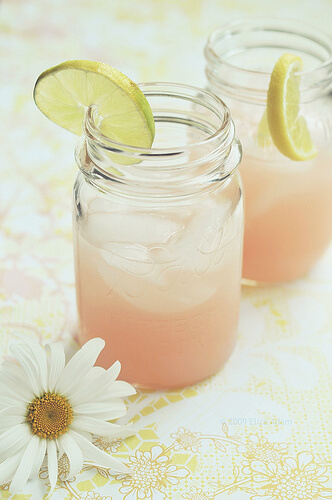 Make a summer cocktail or a refreshing lemonade to enjoy at the lake house. Memorial Day is all about the grill or the barbecue, so break out the smoker or the charcoal and get ready to cook up some goodness. Spread the table with North Carolina favorites like barbecue ribs and potato salad with a fresh pitcher of sweet tea, lemonade, or a Summer inspired cocktail. Consider your guests as you plan your menu–Are there any vegetarians? Is anyone allergic to anything? Have at least one dish that each person can enjoy. While this may seem like a no-brainer, too often we use long holiday weekends to catch up on work or in a frazzled state trying to complete a project at home. Instead, spend some time in the “lake house state of mind.” This weekend, focus on relaxing, spending time with you friends and family, and being happy. You’ll be glad that you did! Are you spending Memorial Day at Reflections on Lake Nantahala or around the Topton, NC area? Share a photo of your festivities with us on Facebook! Photos via Flickr CC users DavidYuWeb, Ada Be, and 3Liz4. Reflections on Lake Nantahala offers you an escape into a slower pace. On the lake, you get to enjoy a laid back life of boating, back porch sitting, barbecues, and more, filled with stunning views of Lake Nantahala and the surrounding area. When you have a lake house in the Reflections community, you have a personal getaway where you can enjoy bird song and crickets instead of car horns and the only item on your schedule is a day on the water with your family and friends. While you may have been dreaming of a lake house for a while, there may have been something holding you back from taking the plunge. We want to help you make your getaway a reality, so we’re offering the Pick Your View promotion. This stunning view is from a home in the Reflections on Lake Nantahala community. With Pick Your View, you can get one of the stunning lots within the Reflections on Lake Nantahala community for just $79,999 – $99,999 with survey and septic approval. Each lot is a half acre, giving you space for the perfect lake house and an amazing, panoramic view of Lake Nantahala. Your lot in Reflections will provide you with the perfect space to build your lake house exactly as you’d like it, with all of the features you want and none of the features you don’t as it’s your space to design the perfect home for you and your family. Looking to find out more about Pick Your View? Contact Kristine for more information on the available lots at 866-218-VIEW, or explore our website to learn more about your cabin options. 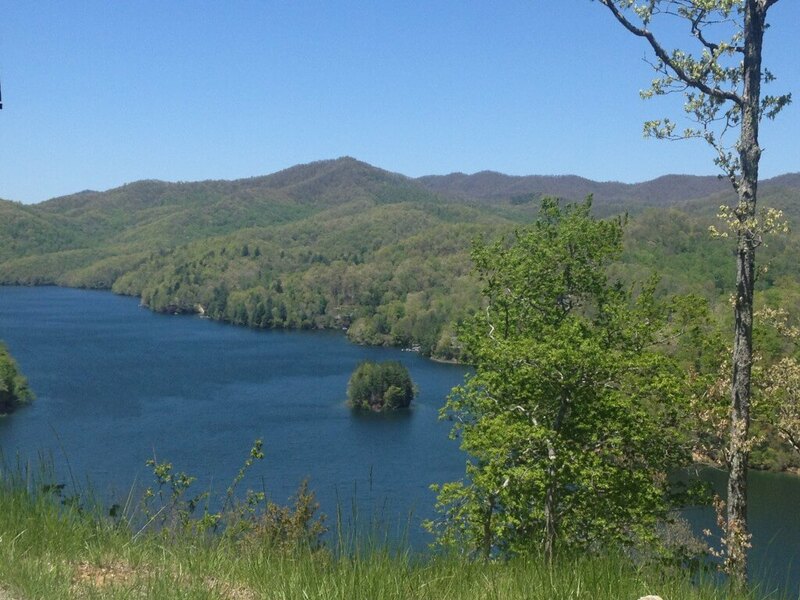 Lake Nantahala is one of North Carolina’s best natural treasures, offering some of the most beautiful views within state, as well as within the country. 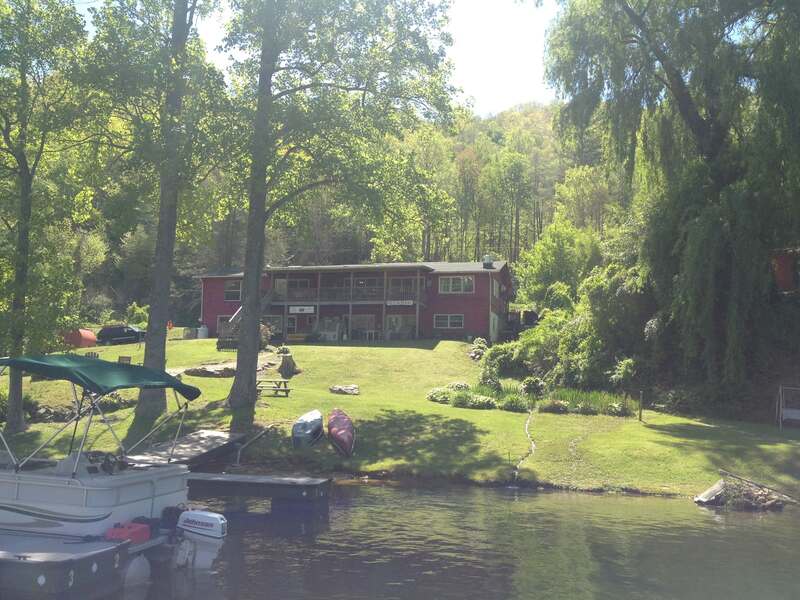 While most simply visit the lake for a vacation here or there, some get to call this beautiful area home, spending summers, winters in their own lake house, or calling the area their permanent home. If you love a quieter side of life, with peace and gorgeous views, as well as plenty of fun and activities, then you could become one of the residents of Reflections on Lake Nantahala. 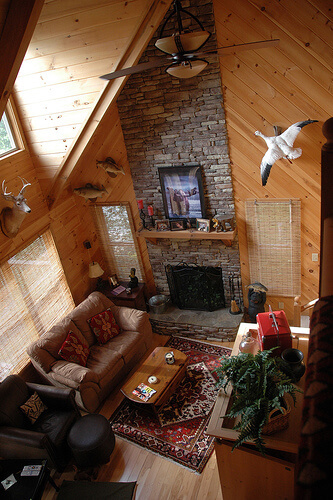 Lake Nantahala is the perfect setting for a laid back, lake house life. Reflections on Lake Nantahala is a community of lake house properties providing beautiful, scenic views and a way of life that many only dream about having. While our properties provide with you the perfect lot to build your dream lake house, our website provides helpful information on the development as well as the surrounding area. Here on our blog, we’ll be focusing on what brings you to the area: The lake house lifestyle. From architecture to diners, water sports and local attractions, we’ll cover the various topics that matter to you and that you draw you to Lake Nantahala as a place to call home. What are your favorite things about the lake? Do you have specific topics you’d like to see covered? If so, share them with us in a comment; we’d love to hear from you! Feel free to comment on this blog post, tweet with us, or message us on Facebook. Image via FrannyFrooFroo on Flickr CC.